Buying hats can be fun but if you have a dozen of hats in your wardrobe that you have no idea on what to do with them, then you need to consider revamping their look by accessorizing. With the right accessories, this task becomes extremely easy to do. Accessorizing hats can be a challenging task especially if the hat that you are planning to decorate is already giving off a strong statement. But if you still want to accessorize your hat, you can always do it with Head and Wrist Bands. Hat bands, as the name implies, are strips of fabric, leather, and other materials that are used to spruce up hats. Sprucing hats is not a new trend. In fact, many men during the 17th century were very obsessed about decorating their hats. During this era, hat bands are more than just simple strips of fabric as they can be anywhere from ostrich feathers, big jewelry, silk bands and other gold ornaments. Hat bands and accessories are often placed on the left side to permit freedom when handling the sword. 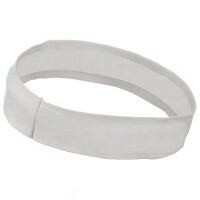 Today, hat bands are still popular but they are kept simple. This allows you to wear the same hat but with different looks. 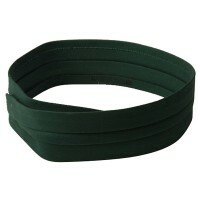 With hat bands, you can save money as you don’t need to buy a lot of hats. It is a practical accessory for those who love to wear hats. Accessorizing your hat can be a daunting task especially if your hat can already make a strong fashion statement. But if you still insist on decorating your hat, check our site at e4Hats.com to find the right hat bands that suit your style. Use hat bands to spruce up your ordinary hats like cowboy hats, fedoras, cloches, and other types of hats with structure. There are also other ways to decorate your head other than hats spruced up by hat bands. Ladies can always wear Women's Hair Bands to adorn their glorious crown. 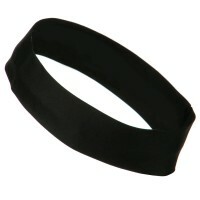 Hair bands come in different styles and designs so finding the right one to suit your needs and style is very easy. Aside from hair bands, you can also try Hair Clips. Hair clips also serve dual purpose as brooch and even hat bands. But while hair bands and hair clips are great, make sure that you also use other accessories such as the Leg Warmers and Ear Muffs. These accessories are extremely great during the colder months. Only then will your ensemble be complete.